declared an agreement to erect and manage world-class cruise terminal (6/28/2016).
. Btw, Oasis-class ships (Harmony of the Seas, Oasis of the Seas, and Allure of the Seas), world’s largest cruise ships, will be able to dock here. 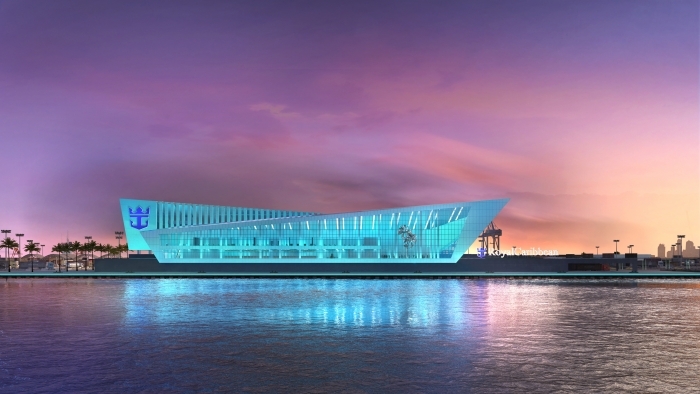 New terminal is nicknamed the “Crown of Miami”. Moreover, it will be the largest Royal Caribbean’s cruise terminal in the world with area about 170.000 sq. ft.